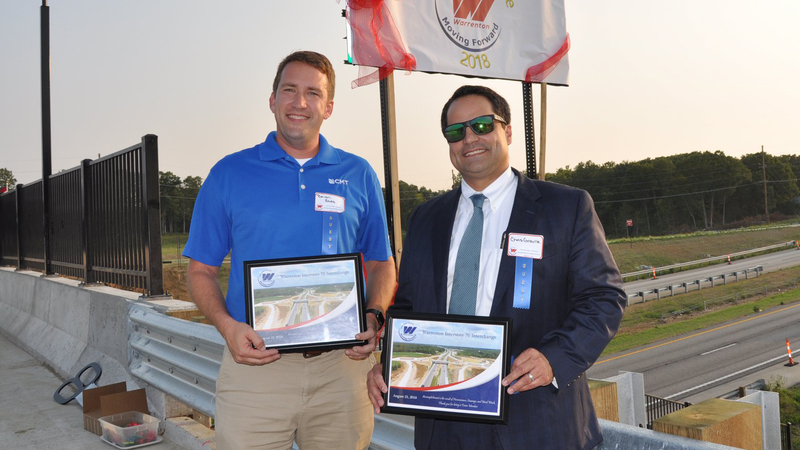 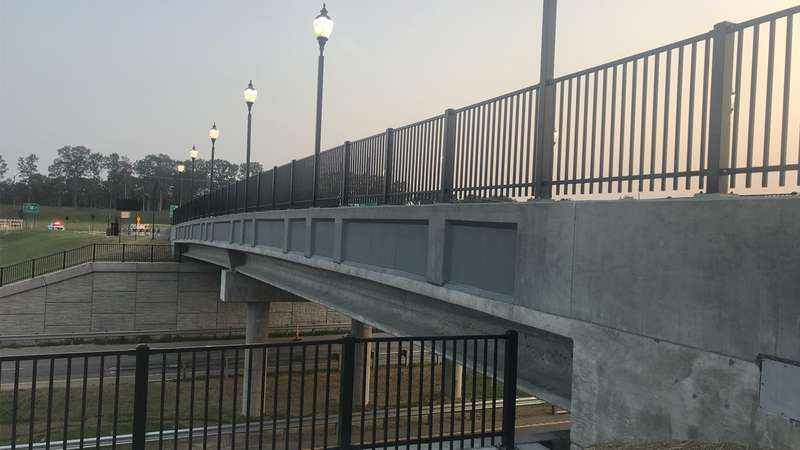 CMT’s Project Manager Brian Eads and Warrenton City Attorney Chris Graville were recognized for their efforts and hard work on this important project. 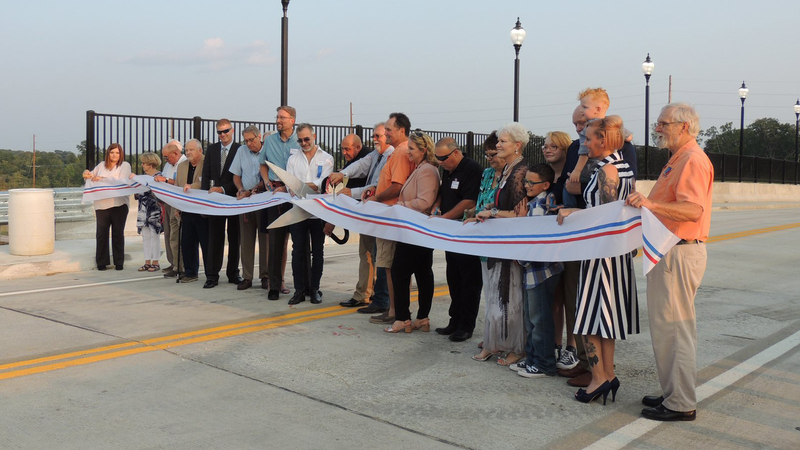 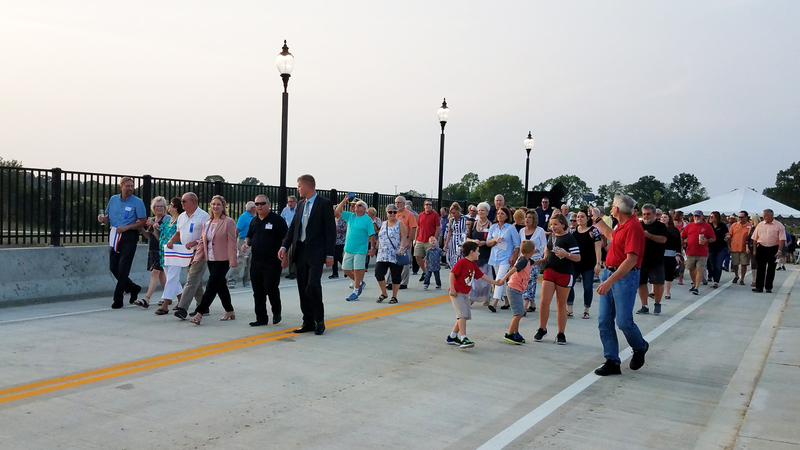 August 21st was the Ribbon Cutting for the new Interstate 70 Interchange and Jerry Dyer Memorial Bridge Unveiling just outside of Warrenton, MO. 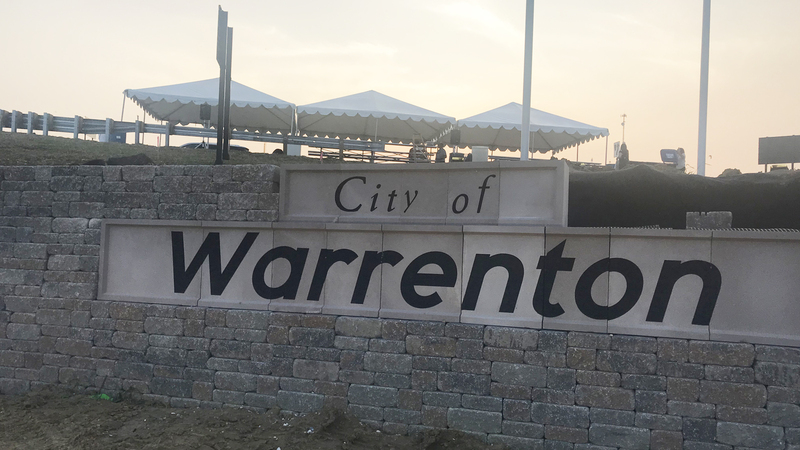 CMT worked with City of Warrenton and MoDOT in the planning of the new interchange which lead to the approval of a new city-wide sales tax to fund the project. 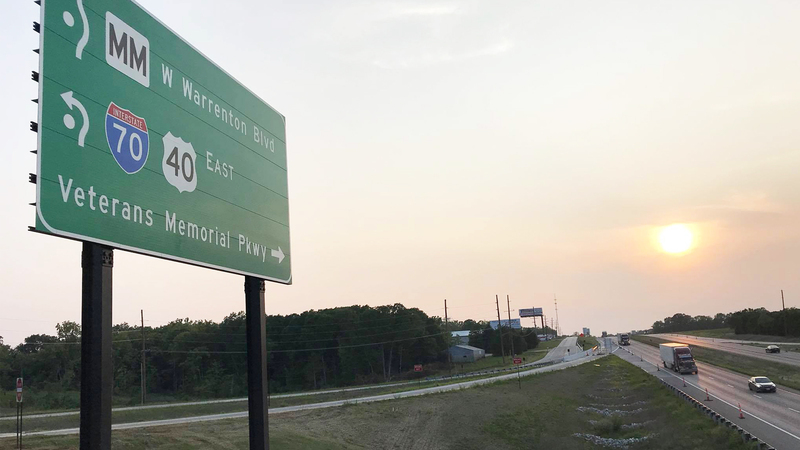 With funding secured, CMT collaborated with stakeholders to navigate the state and federal approval process, including National Environmental Policy Act (NEPA) approval, to design the new I-70 interchange on a very fast track 8-month schedule. 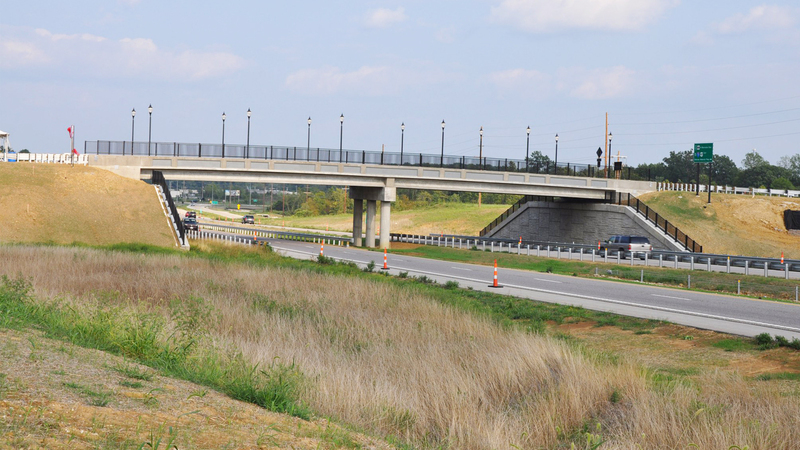 CMT’s innovative interchange design uses three roundabouts to minimize cost and right-of-way impacts. 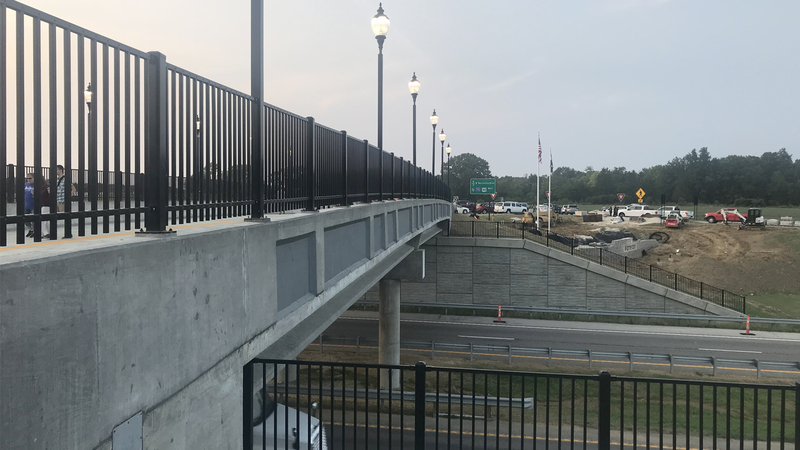 The interchange was designed in a location to support economic development and improve traffic operations and safety by diverting traffic from the congested interchange of I-70 and Route 47.